That’s the golden answer right there. It will build an audience. It will solve most of your problems. It will develop the tenacity needed to survive in this world. It will teach you that those who are successful aren’t successful because of some condensed version of their story, but because they made a commitment to show up every single day when it was hard, sucked, and it looked like nothing would ever come of it. 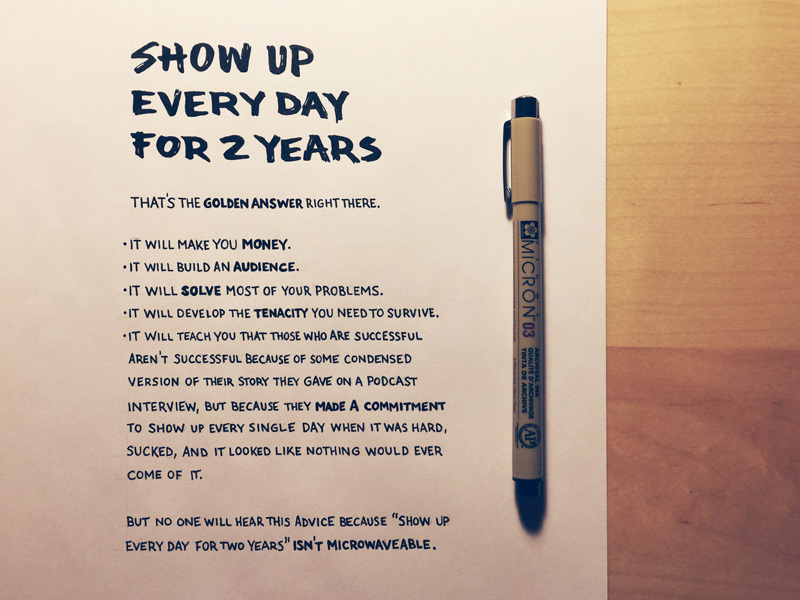 But no one will hear this advice because “Show up every day for two years” isn’t microwaveable.